This exam and certification is for those professionals that need to upgrade their certificate to the 2nd edition of IEC 61511. The exam is free and can be taken here (after login). Conditions apply. 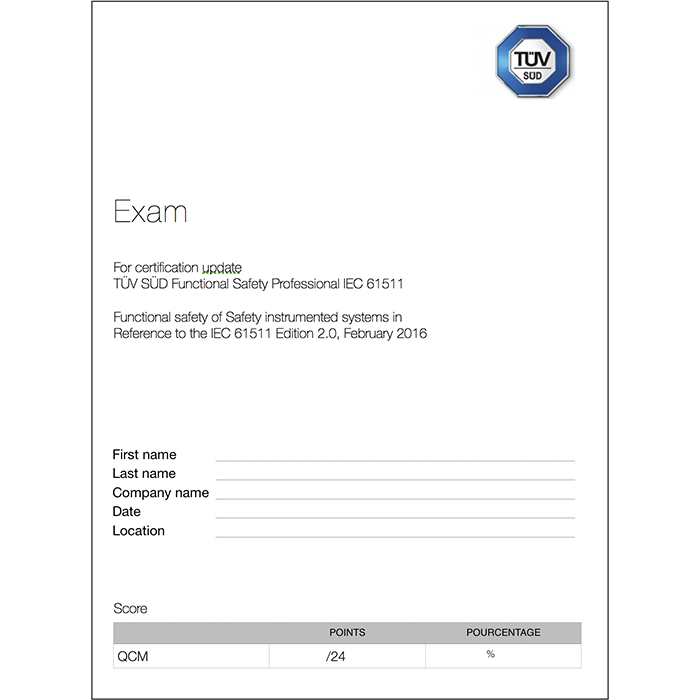 This certification is for those professionals that need to upgrade their certificate to the 2nd edition of IEC 61511. The exam is free and can be taken here (after login).